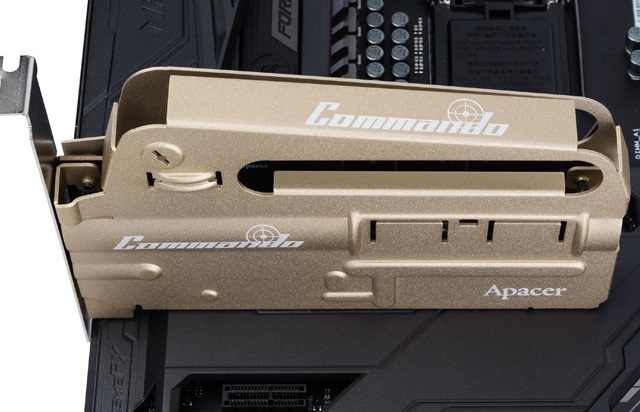 Apacer has revealed their gun-themed PT920 Commando PCIe NVMe SSD, which offers read speeds of up to 2500MB/s sequential. Read more on Apacer's PT920 Commando PCIe NVMe SSD. It's a gold staple gun... or am I not seeing this correctly. Totally nailed it. That's exactly what I thought. 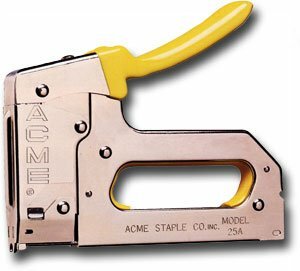 "It's an art deco inspired staple gun"
Some times i wonder who approves this kind of products? How many do they expect to sell 50? It isn't worth the money for material. Looks like the upper receiver on a M16. Kind of silly looking too.